* Boxes are held closer to the body (50% closer) saving time and effort. * Large boxes can be lifted properly so reaching to the floor is not necessary. 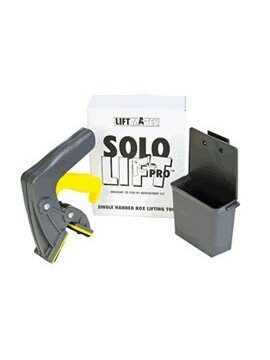 The Solo Lift Pro allows a box to be lifted and carried with only one hand! No preparation of the box is needed. 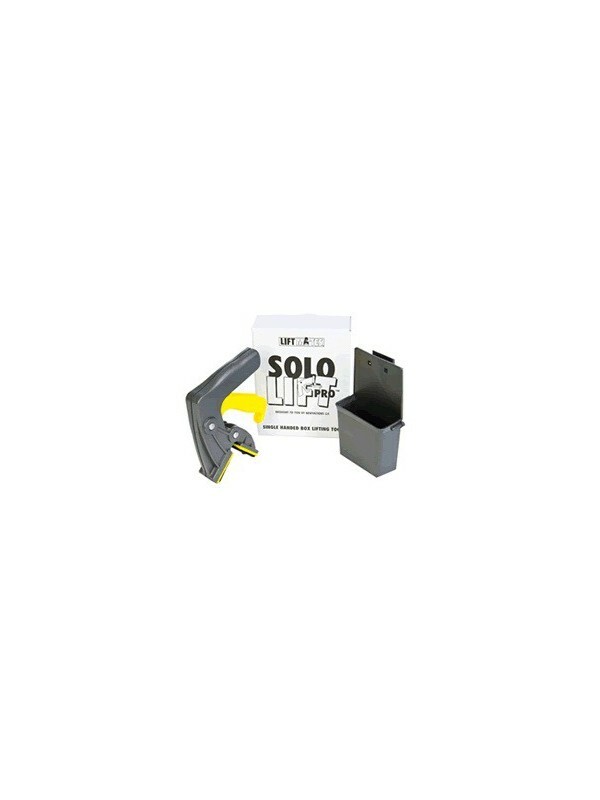 Simply grab the box using the Solo Lift Pro and go. The box is carried at your side, allowing you to see obstacles in front of you, such as a curbs, puddles or steps. You have one hand free to open doors, press elevator buttons or hold handrails when climbing stairs. * Lift and carry a Box using only one Hand. * Have one hand free to open doors and hold stair handrails. 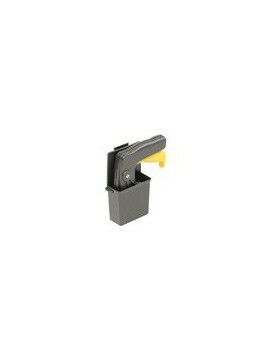 * Reduce back strain by lifting from the top of the box. * Box is carried at your side so you can see where you are walking. 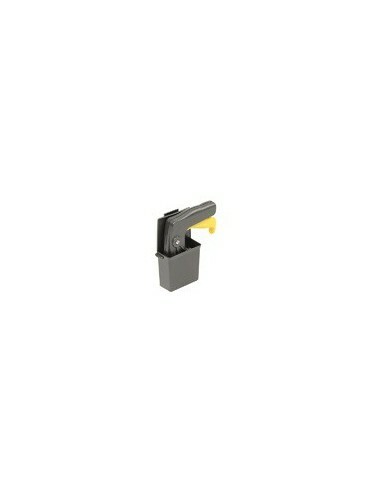 * Tool supports boxes/cartons up to 40 lbs. 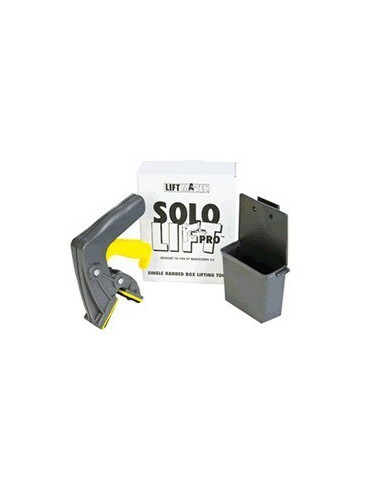 * Box Contains - Solo Lift Pro with attached Pin Pads and Holster. 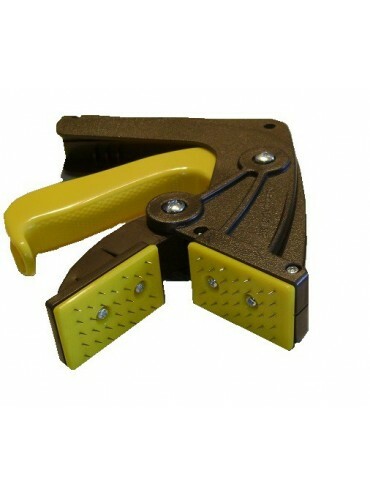 * Also Helps prevent: o Back pain o stiffness/soreness o muscle spasms Note: The Lift Mates tools are molded with pigment to create the coloration. No painting process is applied to the tools.